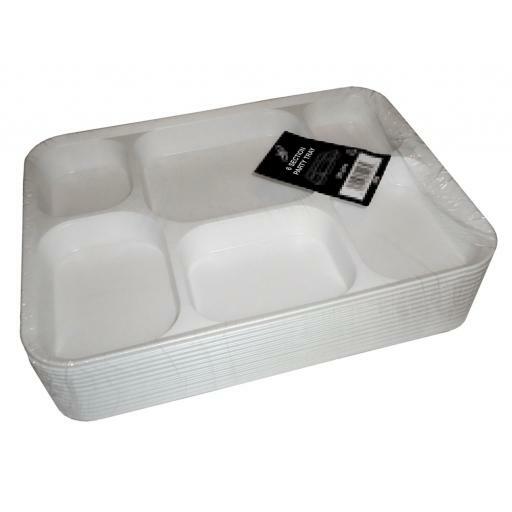 White Plastic Disposable Punjabi Thali / Food Tray - Ideal for Asian Weddings, Engagements, Parties, Religious Functions and Funerals. 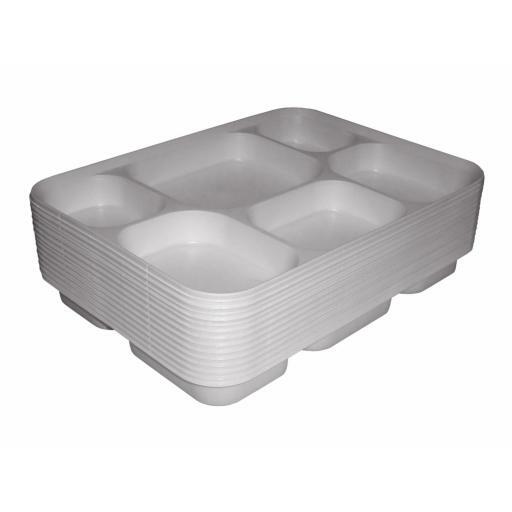 This thali is made of a high quality plastic making it strong enough not to collapse and bend with a full food load. Dimensions : 305 x 225 x 35mm / 12" x 9"